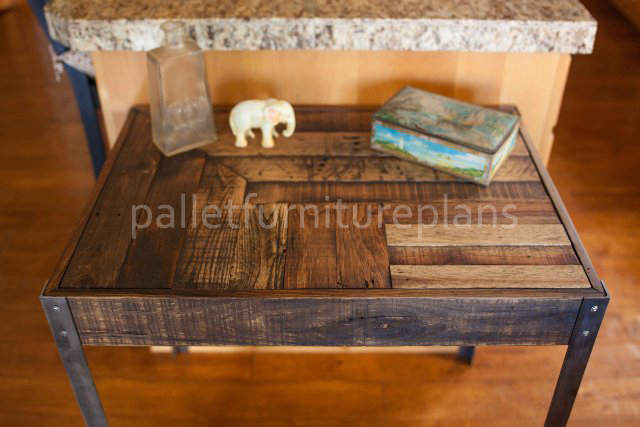 Pallet wood is very useful which is why a lot of people prefer making the furniture out of pallets. 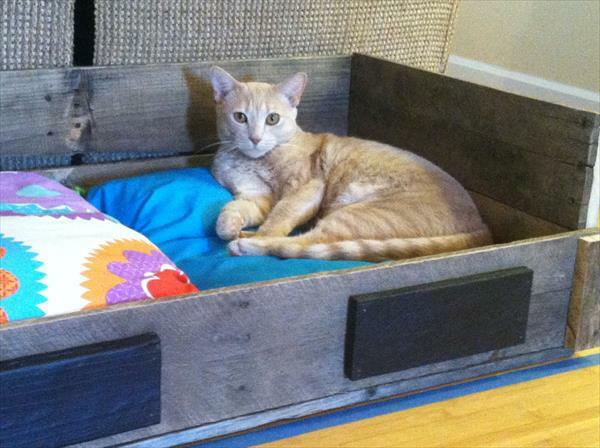 It is inexpensive and very easy to make the things out of pallets. You can find pallets easily from anywhere and design whatever you wish to for your house indoor or outdoor. Repurposed pallet wood desk can be used to make a lot of things but I prefer making a desk for my daughter for her to study easily. I do not like it when she sits on the bed or on the floor to study because a desk can let you focus more than any other place to sit and study. Instead of buying the desk I had pallets in my garage so I thought to make the desk out of pallets with attaching the metal legs to it. 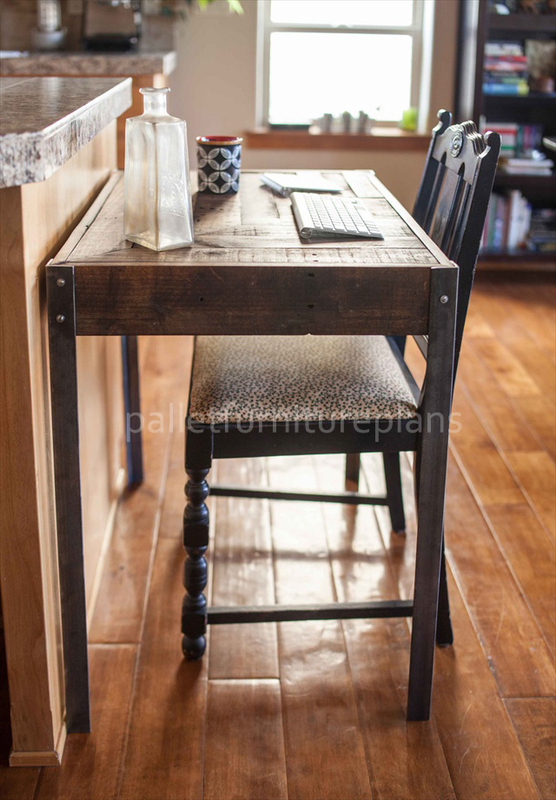 Metal legs to the pallet desk would give it a different and unique look which I desire for the pallet wood desk as well. You can take the measurements of the pallet wood desk according to your desire and start cutting it to make the top board for it. Attach the four metal legs to it by drilling holes on each side. 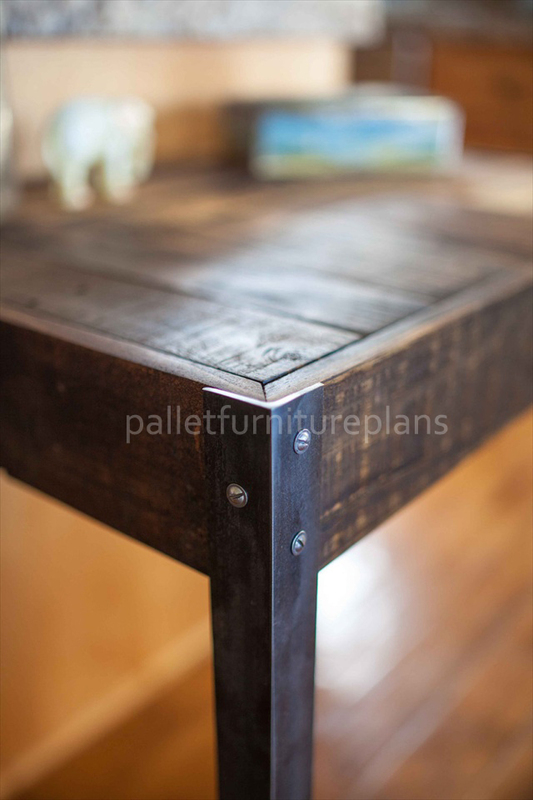 The metal legs look great on the diy pallet wood desk because they are easy to clean also. I have sandpaper the surface of pallet table to make it smooth and painted it with the wood color or if you want to give it a rusty look then let it be natural by only sandpapering it. 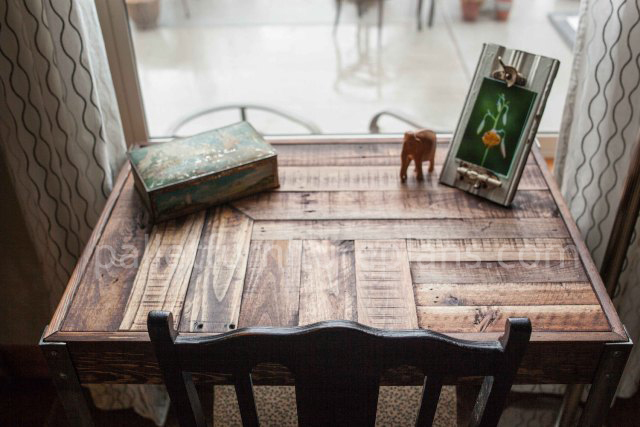 The DIY pallet furniture wood desk with metal legs can be kept anywhere in the corner of the room which can change the look of the room as well. My daughter loves her new desk and I feel good that I made something creative and production for my kid.